One of Australia's top spies said the electricity grid, water supplies and other critical infrastructure could not have been adequately protected if China's Huawei or ZTE were allowed to build the country's new 5G mobile networks. 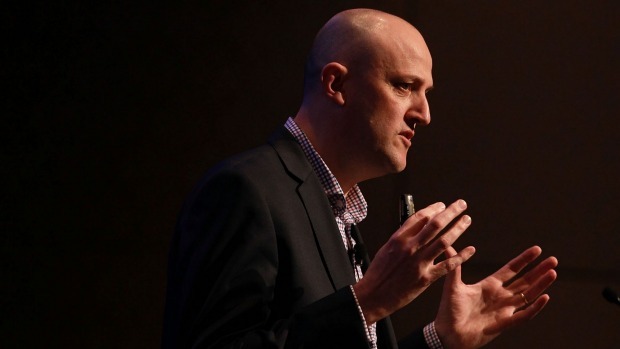 In the strongest comments by a government officials since the ban was handeddown on Chinese companies during the leadership turmoil of mid-August, Mike Burgess director general of the Australian Signals Directorate (ASD), said the stakes in 5G "could not be higher". "Getting security right for our critical infrastructure is paramount," he said. His warning coincided with a new report from The Australian Strategic Policy Institute, which revealed Australian universities were collaborating with Chinese military scientists at unprecedented levels and failing to mitigate national security risks. The report found as many as 2,500 scientists associated with the People's Liberation Army (PLA) - often hiding behind civilian research "fronts" to obscure their military links - had been sent to universities in Australia and other western nations. In outlining a new, more open posture for ASD during a speech in Canberra on Monday night, Mr Burgess said 5G would soon sit at the top of Australia's critical infrastructure list. He said 5G was not just about faster data, but the new network would eventually be used to operate everything from power and water networks to self-driving cars and remote surgery. "This is about more than just protecting the confidentiality of our information - it is also about integrity and availability of the data and systems on which we depend," he said. Mr Burgess did not specifically mention Huawei or ZTE, but said it was no longer sufficient to confine "high-risk vendors" to the edges of a telecommunications network. While the federal government banned Huawei from bidding on the national broadband network, the vendor supplied 4G equipment to Optus and Vodafone and was pushing to be a supplier to non-core parts of the 5G network. In issuing the ban in mid-August, the federal government did not identify the Chinese companies by name, but said it would prevent vendors bidding that were "subject to extrajudicial directions from a foreign government that conflict with Australian law". Of the four main 5G vendors globally only Huawei and ZTE were subject to such laws. Mr Burgess confirmed ASD has advised the government to "exclude high-risk vendors from the entirety of evolving 5G networks". In a speech designed to partially bring ASD out from the shadows, Mr Burgess also warned businesses, which had been hacked, from mounting their own offensive cyber operations and said over the past year his organisation had discovered sophisticated cyber threats "affecting a range of Australian interests". "We have identified and dealt with hackers on government networks, across the private sector through to academia," he said. The ASPI report, authored by researcher Alex Joske, estimates over 2500 Chinese military scientists have been sent abroad as students or visiting scholars in the past decade. "To date, there's been no significant public discussion on why universities should be directly contributing to the technology of a non-allied military," the report warns. "Importantly, there's also little evidence that universities are making any meaningful distinction between collaboration with the Chinese military and the rest of their collaboration with China." The report will touch a raw nerve with Australia's university sector which, mindful of protecting revenue streams from overseas students, has been dismissive or defensive in response to concerns Beijing is clandestinely interfering in the tertiary sector to assert political control over Chinese students or harvest research for strategic purposes. Mr Joske's report seizes on figures suggesting "five eyes" countries - Western allies who share intelligence - are the biggest hosts of Chinese military scientists, led by Australia on a per capital basis. The figures are partly based on a comprehensive review of academic publications and LinkedIn profiles and may be partly explained by Australia's proximity to China and the fact that the five eyes nations host the world's leading universities. The ASPI report does not identify any actual breaches involving Australian universities. But Mr Joske said that nine academics from a contingent of 40 Chinese military scientists who presented papers at a UNSW conference on Mobile Mapping Technology in 2015 may have sought to obscure their involvement with a PLA institute. A consistent complaint from university and business insiders briefed by Australia's security agencies about Chinese government interference efforts has been the lack of concrete examples. The tertiary sector lobbied the federal government and dismissed hawkish security commentators over counter-interference reforms that universities have warned may impinge on academic freedom. A senior university insider who spoke to Fairfax Media said the sector was terrified of losing revenue, but acknowledged that his own university had collected information raising concerns about the true purpose of one academic collaboration project. Mr Joske said efforts by China's military to obscure its researchers' backgrounds was an obvious red flag for Australian universities. "A document published by NUDT [National University of Defence Technology] for students hoping to study abroad advises them that, when providing documentation in their applications to foreign institutions, 'military and political courses can be excluded' from their academic records," Mr Joske's report found.